Here it is. I let him do it... my husband colored my hair rose gold / flamingo pink. 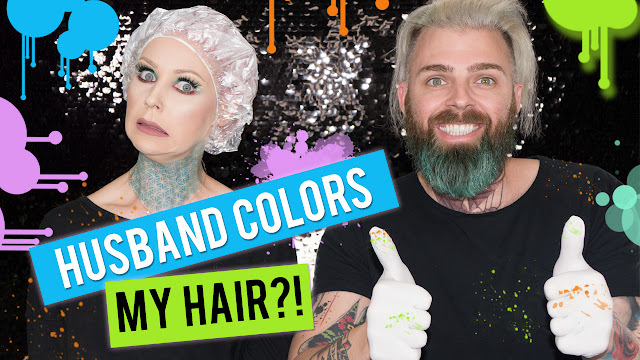 See how it turned out, and how "we" got there and how to dye your hair rose gold using arctic fox hair color. What other couple do you want to see do this challenge? I nominate Kandee Johnson & Jenna Marbles!